Everyone should be going to the dentist at least twice a year for a regular cleaning, but the last thing you want is to be scheduled for a filling. 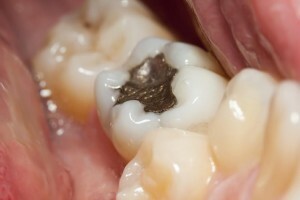 Fillings are performed by dentists to treat a cavity, which is caused by tooth decay. It is essential that you practice proper dental hygiene to prevent plaque from building up which leads to tooth decay and cavities. Luckily, there are few simple tips to preventing cavities from forming. One of the most effective ways to prevent cavities is to brush and floss your teeth on a daily basis. Make sure you are brushing your teeth at least twice a day while using a fluoride toothpaste. It is best if you use an electric toothbrush because it gets rid of more plaque compared to a manual brush. Flossing is the best way to remove food debris and plaque that your toothbrush might have missed. When it comes to preventing cavities, you need to watch what you are consuming on a daily basis. You want to avoid sugary food and drinks, and switch to items that have added nutritional value. Drinks like soda and sugary juices will lead to cavities, so it is best to drink water as much as possible. Water is great to drink in between meals so that you can get rid of food debris in between your teeth. If you have children or at risk of developing a cavity yourself, then it is best that you have a sealant placed over some of your teeth. Sealants are a protective coating that shields the tooth from bacteria and plaque, effectively preventing cavities. It is common for children to have sealants because of the new growth of permanent teeth. This entry was posted on Friday, November 9th, 2018	at 5:57 pm	and is filed under Dental Care in Catonsville	. You can follow any responses to this entry through the RSS 2.0	feed. Both comments and pings are currently closed.